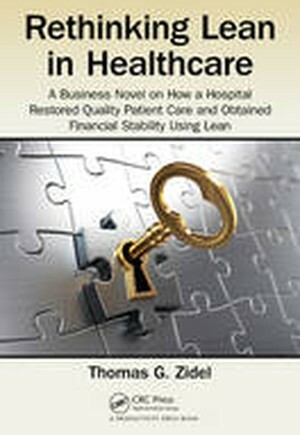 This book deals with a hospital's struggle to secure and maintain financial stability. In the story, the leadership team of a fictional hospital adopts the tools and principles associated with the Toyota Production System or Lean. The story takes the reader through leadership's arduous journey from rejecting the methodology to embracing it, to successful implementation. This book is important because many of our nation's hospitals are besieged with financial difficulties with declining reimbursement and the public is losing confidence in our hospital's ability to provide quality care without error. Lean can provide relief from these issues but only if it is properly implemented. Introduction. The Board Meeting. The Cement that Holds Everything Together. A Not So Restful Sunday. An Unwelcomed Suggestion. Identifying Waste. A Lean Experiment. Culture Change and Systems Thinking. Status Boards. The House of Lean. Applicable Stories. Creating the Plan. Some Results. The Board Meeting. No Time to Celebrate. Meet the New Lean Consultant. Kick-off Meetings. Training. Staff Overview. Rounding. A Year Later.